Sun., Jan. 15, 2017, 10 p.m.
NEW YORK – Angel McCoughtry isn’t going anywhere when she returns from her break from the WNBA. The Dream gave the franchise tag to their star player so that when she does decide to play again she’ll be in Atlanta. Earlier this month, McCoughtry announced she’d skip an undetermined portion of the upcoming WNBA season. She said she needs rest after playing a continuous year-round schedule with no offseason in Europe and the WNBA for eight straight seasons. Other players that were given the franchise tag include Phoenix’s DeWanna Bonner, Seattle’s Crystal Langhorne, Connecticut’s Camille Little and New York’s Tanisha Wright. WNBA free agency began Sunday, meaning teams can start to negotiate with their own restricted and unrestricted free agents. Deals can’t be officially announced until Feb. 1. The defending champion Los Angeles Sparks have a few unrestricted free agents, including Alana Beard, Kristi Toliver and Essence Carson. Beard told The Associated Press that she plans to return to the Sparks. Other top unrestricted free agents include Janel McCarville, Erika de Souza, Jasmine Thomas and Mistie Bass. Bass announced on Twitter earlier this month she’s pregnant and will miss at least the first half of the season with Phoenix. Elena Delle Donne and Brittney Griner are both restricted free agents. The two stars could potentially move to other teams, allowing Delle Donne to get closer to her Delaware home, but their current squads are allowed to match any offer they might get from another club. Kelsey Bone, Alex Bentley, Sandrine Gruda and Sugar Rodgers are also restricted free agents. 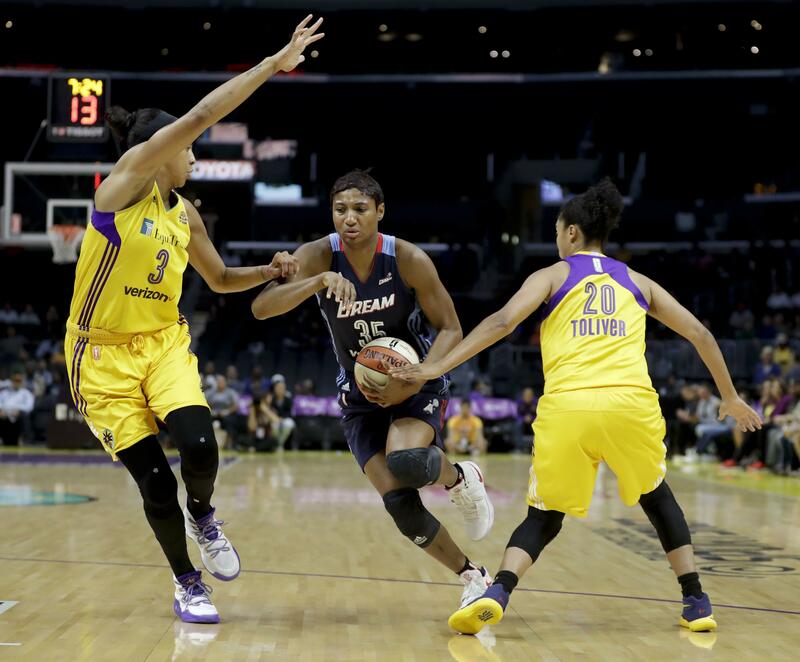 Financial constraints tend to limit bidding wars – and thus player movement – in the WNBA. The league knows a more active free agency period could draw more interest from the casual fan. Published: Jan. 15, 2017, 10 p.m.